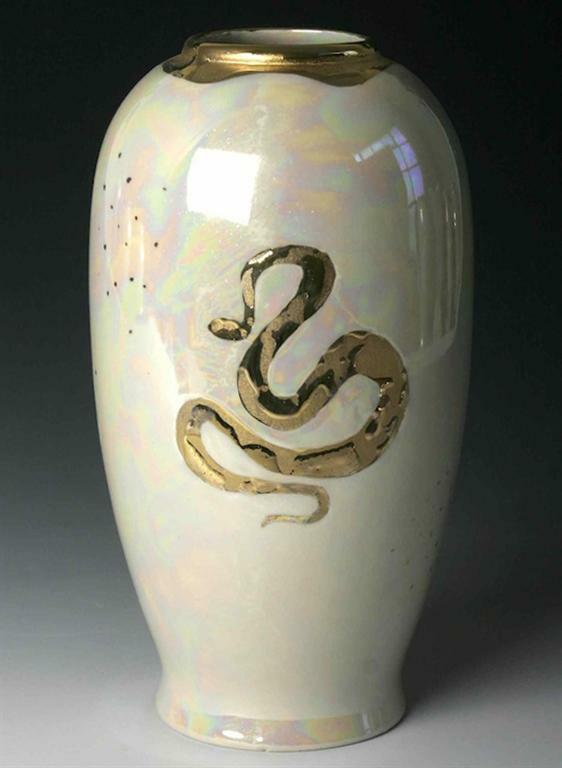 Egyptian Gold Lustre Torpedo Shape – Snake Design. This fabulous effect is achieved using real gold enamel and we hope you agree that the time consuming process is worthwhile. Many of the designs are inspired by Egyptian Art, which is synonymous with the Art Deco period and can be purchased with either an iridescent lustre or an ivory finish. These designs are available in both ivory and lustre finish.